My computer has been on the blink, so I’m really behind on posting. I’m writing a post from my iPhone for the first time – we’ll see how it goes! We managed to drag ourselves off the coast for a couple of weeks of inland plans. We stayed 5 nights in Eugene, and we were really impressed by the large number of hiking and biking trails than ran all over the city. I’ve heard Eugene can be pretty rainy, but we were lucky enough to have great weather when we were there. 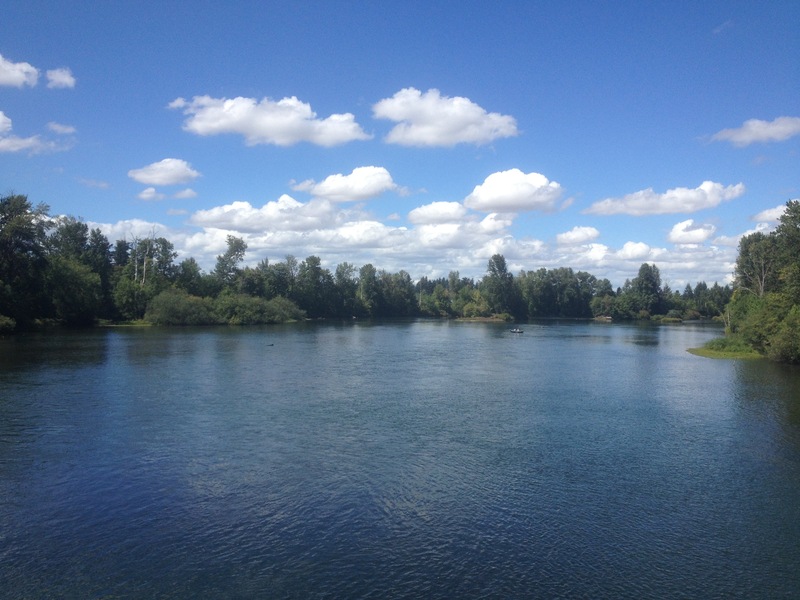 The Willamette River runs right through town and there are several pedestrian bridges that cross it. The weekend we were there was the first weekend of college football. Deas and I are both big football fans, so we rode our bikes over to the University of Oregon campus before the game to check out the tailgating. 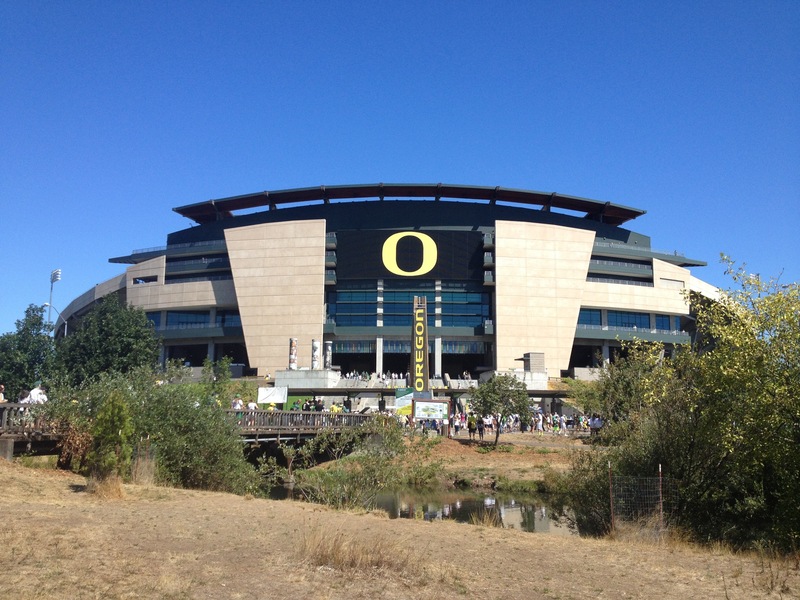 The Oregon stadium is amazing. We considered buying a ticket but we ended up watching the game from a sports bar – the desire for air conditioning and beer won out! From Eugene we headed towards Bend where we planned to meet up with Hans and Lisa. My brother Brandon and his wife Cassie drove down from Portland and stayed with us the first night and we had a lot of fun with them. We stayed for 8 days and got to hang out with Hans and Lisa a lot and also our friends Don and Gail that we met earlier this summer in Hood River. We love Bend and wish we could have stayed longer! I’ve got lots of pictures but they’re all on my non-cooperative laptop. Hopefully I can post them in a few days. We’re staying near Crater Lake right now and tomorrow we’re going to Ashland for a few days. 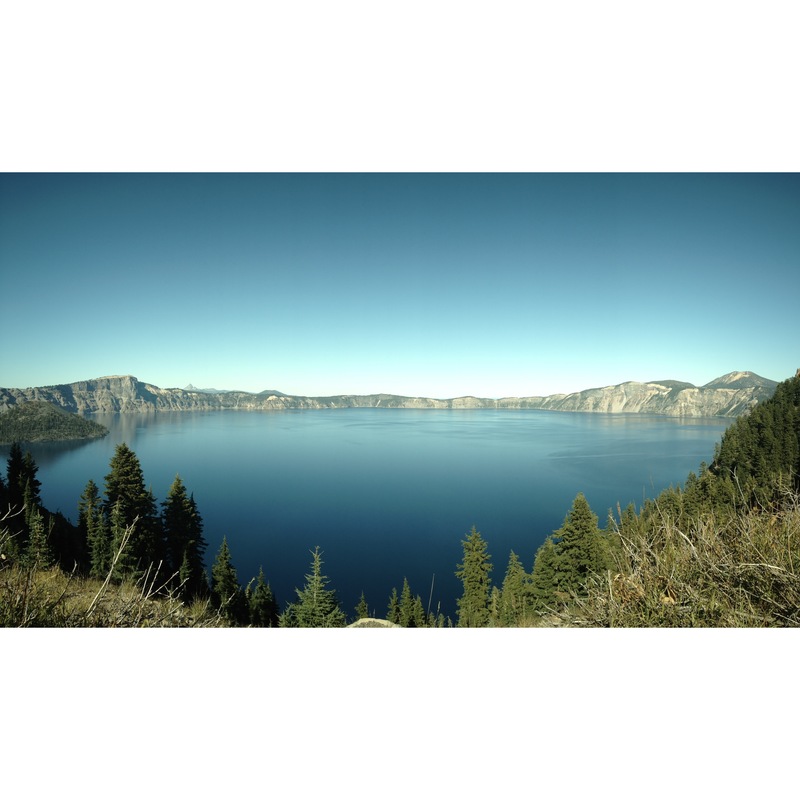 Crater Lake is spectacular – we were really blown away by it. Lots more pictures to come of it as well! The name of the park in Napa is Skyline Wilderness Park http://www.skylinepark.org/. They don’t allow dogs on the trail – wilderness area don’t ya know, but it is a nice location among the oak covered, rolling hills on the east side of Napa.